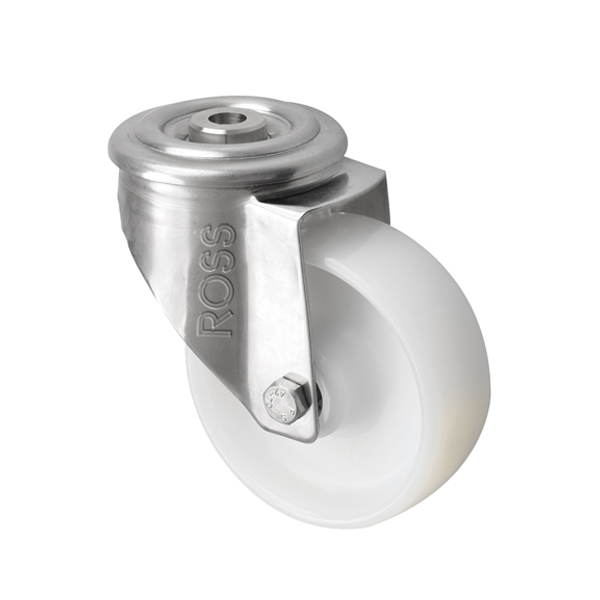 SS Series Medium Duty Bolt Hole Stainless Steel Casters with a Nylon Wheel are the best selling stainless steel casters for outdoor environments and catering establishments. The nylon wheel is available in three sizes and the single bolt hole attachment makes these stainless steel castors easy to fit. These casters are available either with or without foot operated brakes.